Måns Svensson, Associate Professor of Sociology of Law at Lund University, defended his thesis ’Social Norms and Legal Compliance’ in 2008. Svensson’s socio-legal research within for example digitization, migration, work-life or financial security, often has a global perspective and focus on law’s influence and dependency on underlying informal social control. Svensson has, since his doctoral defence, supervised five PhD students that successfully defended their theses. 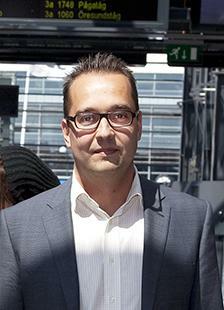 Currently, Svensson is the main supervisor of an additional four PhD students. On commission by the Vice Chancellor and within the university’s ‘special activities’, Svensson has since his PhD defence created and led three interdisciplinary research environments, all with a focus on technology and Social Change: Lund University Internet Institute, Lund University’s Institute for Studies in Economic Security and Lund University’s Centre for Work Environment and Leadership. Since 2013, Svensson is a member of the Swedish Enforcement Authority’s Scientific Board, and has acted as the Chair of the Board since 2016. Further, since 2014, Svensson is a member of an evaluation committee within The Swedish Research Council for Health, Working Life and Welfare.